Do Donated Organs Age Based On The Donor, Or Do They Adjust To The Recipient’s Age? There are many different belief structures in the world, but one thing that no one debates is that death is inevitable. What happens after you die is the subject of eternal debate—and certainly not the subject of this article—but there are a few other critical questions and issues that arise at the end of life, such as whether your organs will be donated. By donating your organs after death, you have the potential to save a life, or multiple lives, but the concept itself is often hard for people to understand. The idea of someone else using your organs to sustain their life seems like an alien idea to many people, as we have a deep feeling of ownership and attachment to the parts of our body. 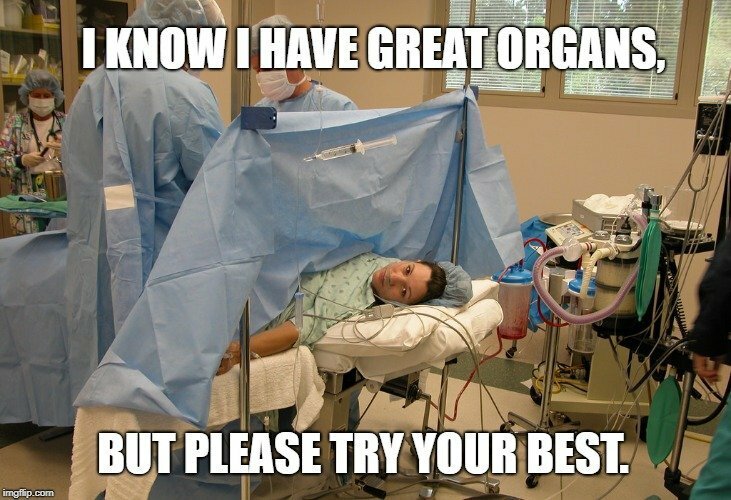 Every cell and organ is unique to each individual, and a perfect match is impossible without a direct blood relative, so organ transplants are complicated and specific procedures. Understanding what is required for an organ to be donated is important. Although the initial question of this article refers to the age of a donated organ in comparison to a potential recipient, there are a few things to note about organ donation. The closeness of a donated organ (genetically) to a recipient is critical for the organ to be accepted. Without an organ being an exact match, the body’s immune system will always turn on the organ, trying to eliminate something they don’t recognize. If the genetic difference is too great, the body will reject the organ completely, and the transplant will be unsuccessful. 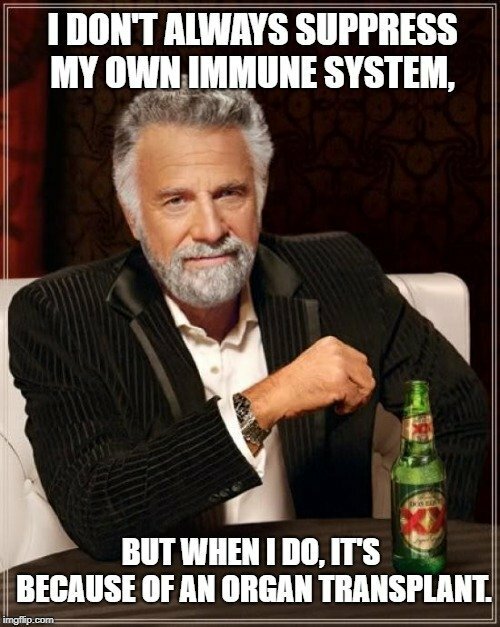 Even if the body does begrudgingly accept the organ, the immune system will constantly be suspicious, and patients will be required to take immunosuppressant drugs for the rest of their life. Being a transplant patient means finding a balance—for years or decades—between keeping the immune system intact to protect against infections, but weakened enough that it won’t attack the donated organ. Now, before an organ can even be donated, it must be checked and verified to be a healthy and functioning organ. This is typically done after a potential donor has deceased. Even if a person has a health condition, it doesn’t necessarily mean that some of their organs won’t be usable. If a condition like cancer or a systemic infection is present, however, organs cannot be donated, for fear of doing more harm than good to the recipient. The health of an organ is far more important than the age of the donor. There are many 50-year-old lungs from active, athletic people that are in better shape than the lungs of a 30-year-old chronic smoker. In other words, context is important. Perhaps most importantly, and the reason that transplants can be so complicated, is that the organs must typically be transplanted between 6 and 72 hours after being removed from the donor’s body. While the age of a donor isn’t the primary concern when performing a transplant, the increased risk with older organs is undeniable. Many studies have shown that organs from older donors are more frequently rejected or display limited/lacking functionality in the recipient. In many cases, however, particularly in life-and-death instances, this is still the preferable option. For those who don’t know, there are eight internal organs that can be offered for donation: the lungs (2), kidneys (2), heart, liver, small intestine and pancreas. Other non-organ donations include heart valves and blood vessels, skin, bone tissue and corneas, among others. Due to the increased risk of older organs, there are some general age guidelines for the different organs that can be donated, but there are no strict cutoff ages for donation. The oldest organ donor in the United States was 92 when he donated his liver to a 69-year-old woman. 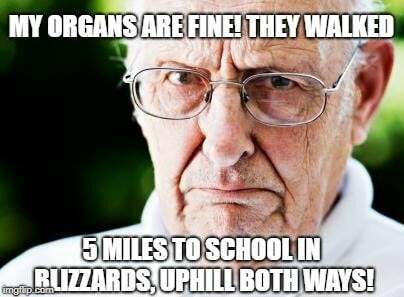 That being said, doctors understand the increased risks that come with older organs. In the case of kidneys, a lower level of function is noticed in organs from donors in their thirties, while hearts don’t typically show negative reception signs unless the organ is from someone in their forties. Organs from liver and pancreas donors past the age of 40 may also show increased signs of rejection or a higher risk of death. Lungs, surprisingly enough, show normal function even from donors as old as 65. This should make it clear that, while age is a factor in the success of an organ transplant, it is far less important than the specific health of the organ. In answer to the original question posed by the article, the organs don’t adjust to the age of the recipient, nor is it clear what such an adaptation would even look like. A transplanted organ will always be slightly weaker than one’s own organ, due to the ongoing immune system attacks, but aside from that form of premature aging, an organ will simply kick on ticking. A 25-year-old recipient of a 45-year-old heart has just as good of a chance at a long and healthy life as a 50-year-old receiving a 35-year-old kidney. The important thing is how you treat your body, and take care of that specific organ, once you’ve been given a second chance! Organ donation is extremely important all over the world, and due to the difficulty in finding ideal matches for transplants, it is even more important that everyone be willing to donate their organs after passing on. If you want to make a different while you’re living, however, there are also many living donation opportunities, including partial donations of your liver, an entire donation of one kidney, as well as parts of your intestinal tissue and pancreas. If the idea of cutting a part out of you is a bit too daunting, try regularly donating blood to do your part and help save the lives of others.